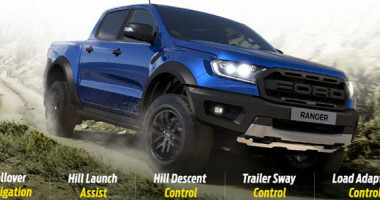 This is not just another truck. 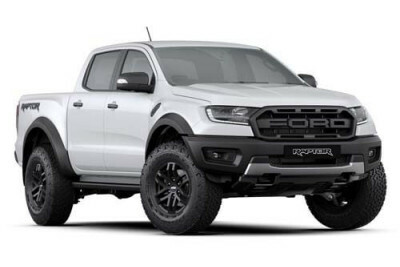 This is a super truck. 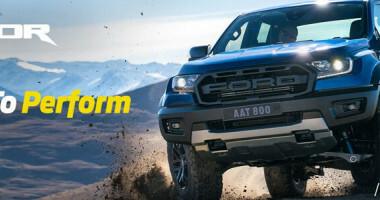 The first ever Ford Ranger Raptor is no pretender. 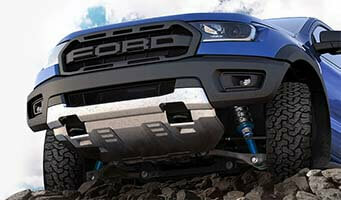 It's Australia's first ever factory-built, factory warranted, off-road performance truck. This is no option pack. 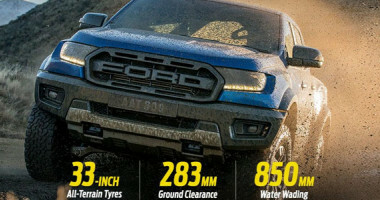 This is a uniquely designed, engineered and fully tested off-road performance truck. 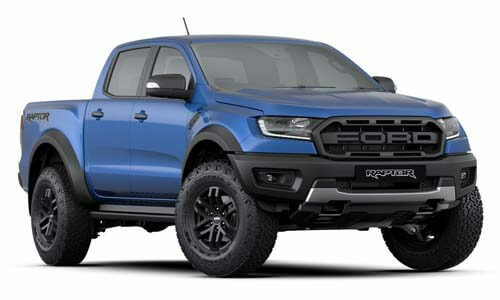 Ranger Raptor's signature block-letter grille, muscular haunches, and frame-mounted bumper make for an imposing stance. 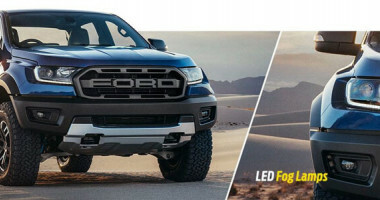 LED fog lamps with air-curtain ducts enhance aerodynamics. 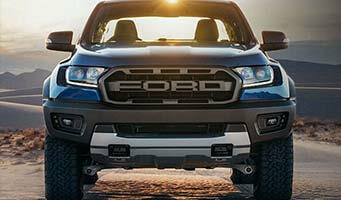 In the rear, the tailgate features an integrated bumper, a uniquely-styled tow bar with electrical connectors, and 3D badging. 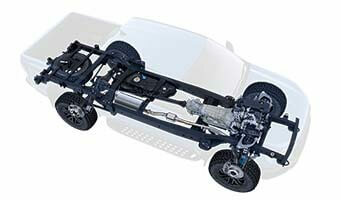 No other Australian production truck features the legendary FOX Racing Shox as standard equipment. 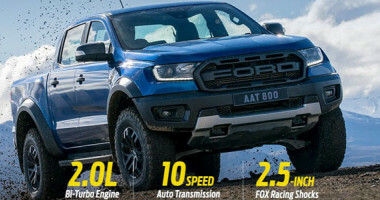 With the learnings from Ford's F-150 Raptor, the Ranger Raptor's race-bred suspension has been specifically crafted to tackle the toughest terrains, smoothing out jumps, bumps and ruts. 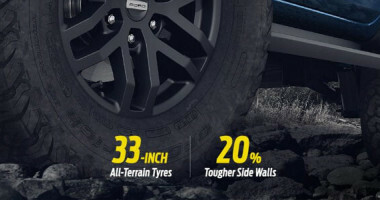 Get dialled in for performance. 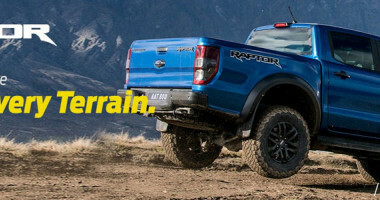 Body-contoured sports seats include unique Raptor head rests, bolsters, and suede inserts for better body grip when driving off-road. 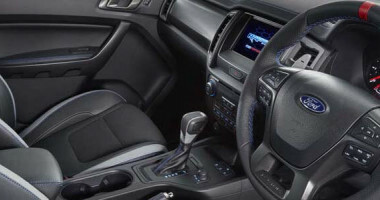 Raptor stitching is featured on the steering wheel, soft top instrument panel, leather-wrapped shifter, and floor mats. 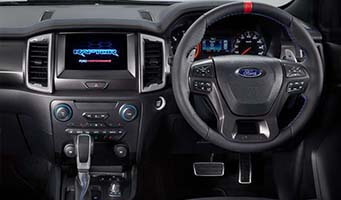 A multi-intelligent instrument panel displays performance information on a low-glare, high-quality flat screen featuring 8-inch rear-view camera and multi-view satellite navigation.